The zero-sum game that is trading has traditionally been a tough sell for retailers, who may seldom come out on top in their daily tug-of-war with the deep-pocketed institutions that wrap most markets around their fingers. CryptoSlate, however, sat down with the chief executive of Rise, who is planning to repurpose its institutional-grade, AI-powered trading technology to level the playing field and help even the smallest fishes in crypto “invest like a billionaire”. To Rise chief whip and serial exited entrepreneur Stefan Tittel, the trading game has always been a bit of a stacked deck. Tittel would know. Since 2012, his Germany-based firm has been developing “proven” artificially-intelligent, machine-learning trading algorithms, and licensing them out to institutional investors and high-net-worth individuals. These types of initiatives—little-known to the masses—give the so-called ‘smart money’ “huge informational and technological advantage” and help them “consistently beat out retail investors” in markets of all description including crypto, Tittel explained. Thrown in with the hushed narratives of rigged currency and monetary metals markets, one might start to wonder just how far the scales are tipped in favor of the heavyweights. Yet when it comes to crypto, Tittel thinks it’s time to let Average Joe swim with the whales. With Rise’s data-driven investment strategies—pitched as “free of emotional human bias” and steering clear of “pump-and-dump marketing or boom-and-bust cycles”—Tittel believes profitable trading will become an increasingly realistic expectation for the masses as they stock up on the secret sauce of Wall Street. And delivering profits of 12-46 percent in the midst of a widely begrudged bear market, the algorithms would surely come as music to the ears of investors waiting for a nudge towards the nostalgic heights of January’s $834 billion cryptocurrency market capitalization. Our data scientists clean enormous sets of data—not only financial data but anything from fundamentals, earnings projections, to weather data that may have an impact on our trading systems. All systems are created by veteran traders and industry experts. Once a basis is created, technology takes the lead and learns to improve its own performance over time. Opening up our ecosystem not only gives everyone access to tools that help to maximize profit from their capital investments regardless of net worth, but the more investors using our AI, the smarter it becomes. It’s a win/win. Securities and Dividends, Decentralization’s New Best Friends? With a steadily darkening cloud of regulatory question marks wafting its way over utility tokens, Rise’s upcoming Security Token Offering (STO) would seem a logical choice in the decidedly stern domain of Germany’s financial watchdog, BaFin. 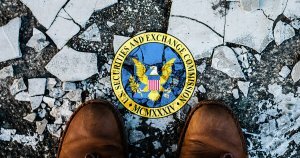 Uncle Sam, for one, seems to have been cracking the whip with particular vigor in recent months, with the US Securities and Exchange Commission having in quick succession charged a number of cryptocurrency exchanges and post-ICO projects with issuing or dealing in unregistered securities, with Salt Lending and ShapeShift CEO Erik Voorhees being the latest to be homed in on by the hardline financial watchdog. 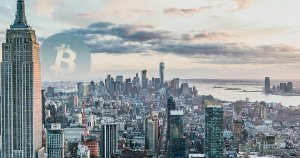 It was the ideal time to become a first-mover and create a BaFin-compliant security token as the market and investor focus began shifting in favor of regulation and compliant investment opportunities in blockchain and crypto. In fact to the German entrepreneur, a token compliant with stern BaFin regulation would not just let his investors breathe easy, but entitle them to a “long-term passive income stream” rolling in from quarterly dividends derived from all arms of the Rise ecosystem including its algorithmic trading system, trading platform, investment fund, and even a portion of presumably handsome algorithm licensing revenues paid by institutional clients. Perhaps what might perk up the ears of US investors, however, is the Rise Crypto-Traded Fund (CTF), which may give a taste of ETF-style basketed investment before the SEC bangs its gavel on any one of the Bitcoin ETFs currently pending regulatory approval. Purportedly combining “the best of ETF investments and the high-profit potential of algorithmic trading”, Rise’s CTFs will permit RSE (Rise token) holders to simultaneously invest into a basket of traditional assets and cryptocurrencies, delivering an average 15-18 percent return paid out quarterly in ETH or RSE. With Wall Street apparently poised to cut itself a hearty slice of the pie that is the crypto-market, such a scheme could not only ease widely voiced fears that old-school finance will morph crypto into the players-only club the nascent technology set out to circumvent, but give the suits an offer they can’t refuse—adapt and adopt—or, be left peddling the very infrastructure that seems to have all but sparked the global hunger for cryptocurrency.